Rosewill Computer Cases Allows You to Build it Your Own Way | Nerd Much? Three new Rosewill computer cases have been announced to ensure that you can create the gaming rig of your dreams. Better yet, they are available now. We all know that building your perfect computer doesn’t come cheap. That’s why it is so important to make sure it looks as impressive as it runs. 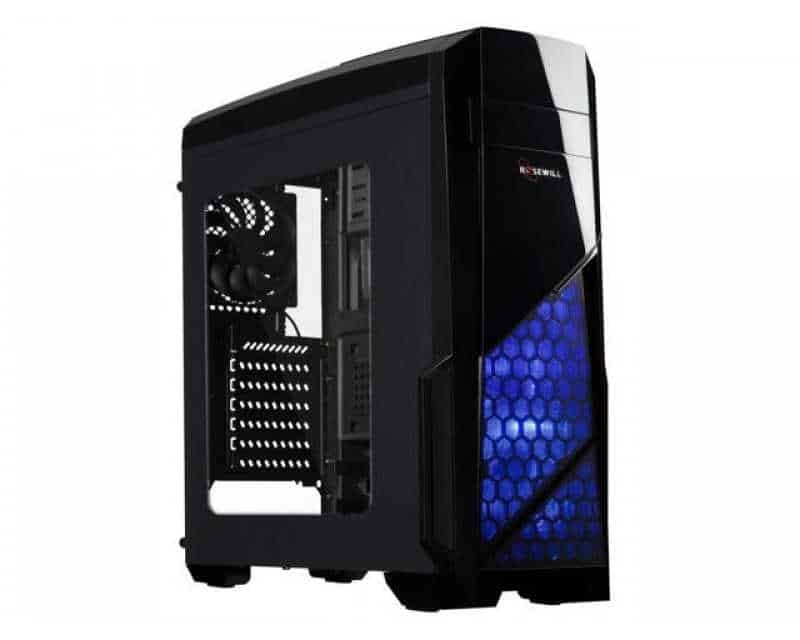 With these new Rosewill computer cases, you can have a great looking PC without leaving your wallet completely drained. Let’s start things off with the GRAM ATX Mid Tower Gaming Computer Case. This tower has a robust design with a large side window to show off the innards to your friends. You also get two pre-installed fans to keep everything cool. You can also add two more fans for even better ventilation. 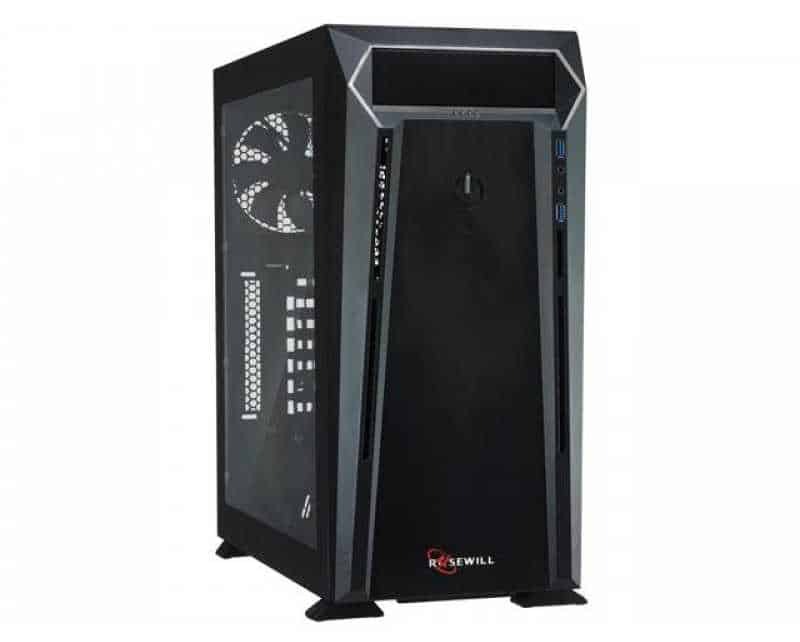 With seven expansion slots, you can really beef up your tower with some powerful stuff. The GRAM case has an MSRP of $79, but is available at Amazon for just $62.67. Next up, we have a more high-end HiMARS ATX Mid Tower Gaming Computer Case. You still get a viewing window to show off your internals, but it is much smaller by comparison. Instead, the big draw here is the ability to hot-swap the front of the case. this allows you to increase the case size without completely upgrading. The MSRP for the HiMARS is a much grander $129, but it is sold exclusively through Newegg for a much cheaper $99. 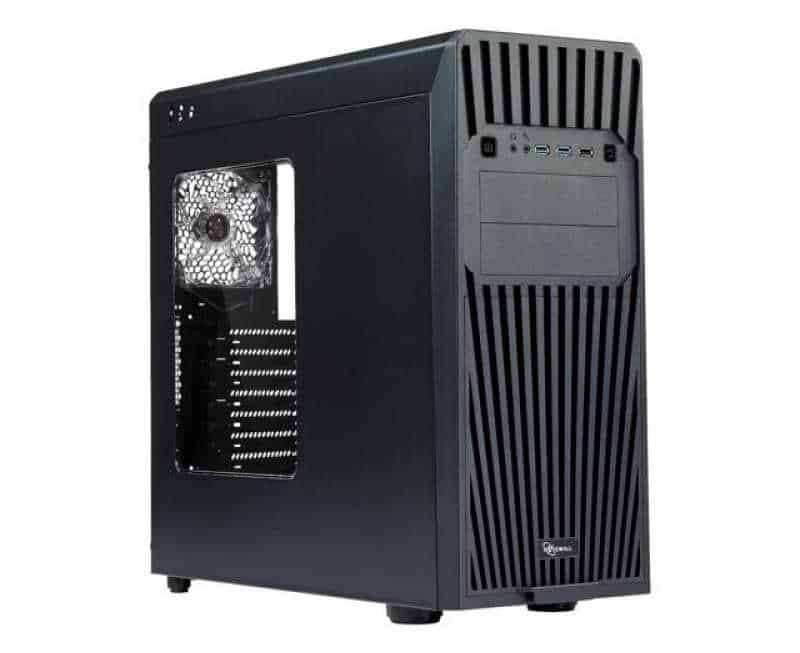 Lastly, we have our personal favorite for price and design, the NAUTILUS Mid Tower Computer Case. From a design standpoint, we love the blue, honeycomb grill. With a giant side window to match, this will definitely be an eye-catching PC. This tower also features three pre-installed fans, ensuring that you’re really getting your money’s worth. With an MSRP of $59, its amazing that you still get seven full slots for expanding. Better yet, Amazon has it available for just $43.53. 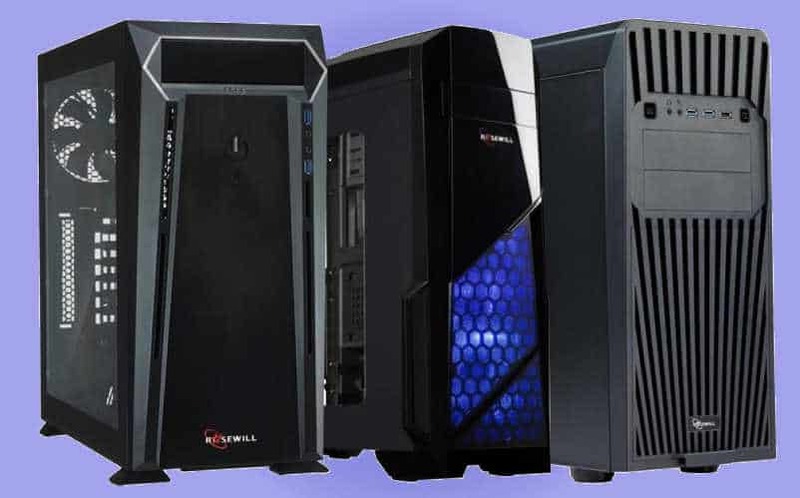 We are impressed by the offerings that these Rosewill computer cases provide. It almost makes us want to rebuild our own rigs. If you are building your own PC from scratch, we suggest you start here.